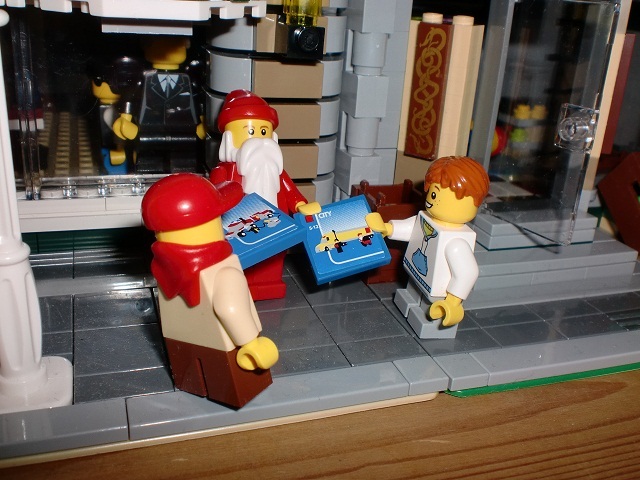 Brick Town Talk: December 2010 - LEGO Town, Architecture, Building Tips, Inspiration Ideas, and more! Courtesy Downtown Oak Park by Eridony. 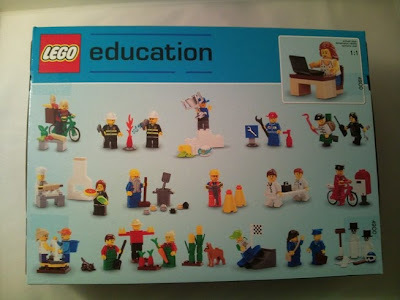 I was lucky enough to buy some LEGO with one day of the year left. I hoped to get Diagon Alley. Sadly the last one had sold out in the morning. 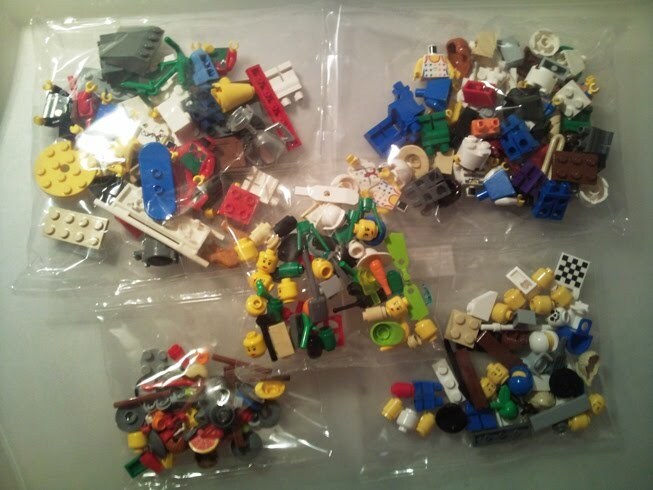 I managed to purchase the amazing Atlantis Temple (which I shall build later today), 20 Series 3 Collectable Minifigures (12/16!!! - Not bad - sooooo many sumos! 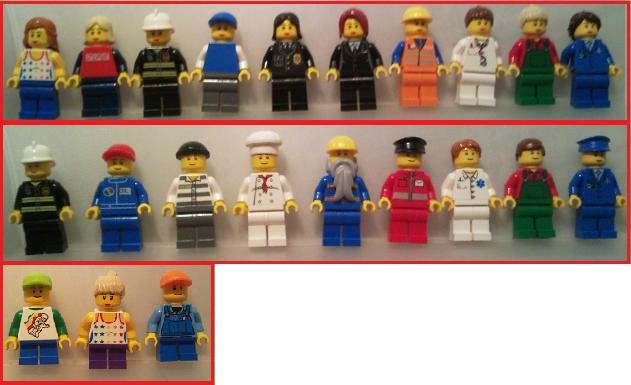 ), and 9348 Community Minifigure Set. Enjoy the review. There are five bags. 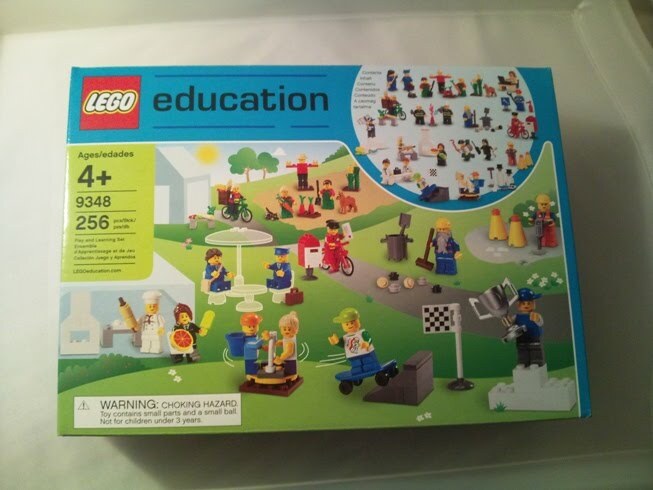 The set does not contain instructions - you have to guess from the box. There is also no inventory. The following pictures show the content of the bags. 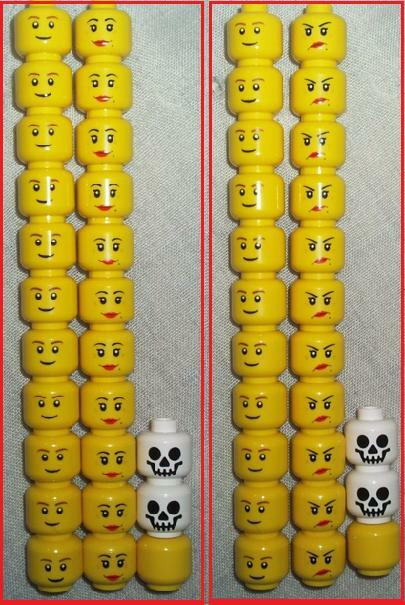 The first picture shows the minifigure heads. 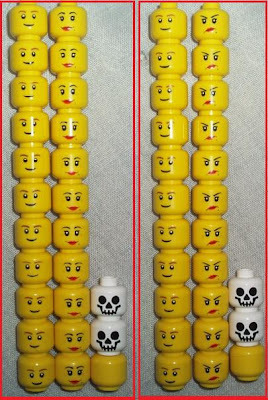 The males are all the same as are the females although they have a revesible head so that they can be happy or annoyed. The second picture shows some fantastic pieces that are available in other sets, however, its fantastic they are all here together in one place. 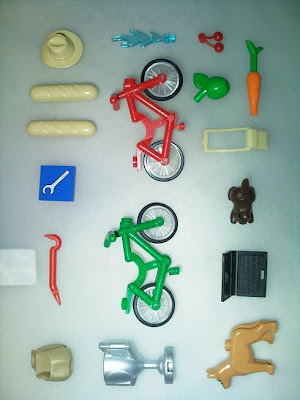 The fourth and fifth pictures show the pieces (there are no stickers). 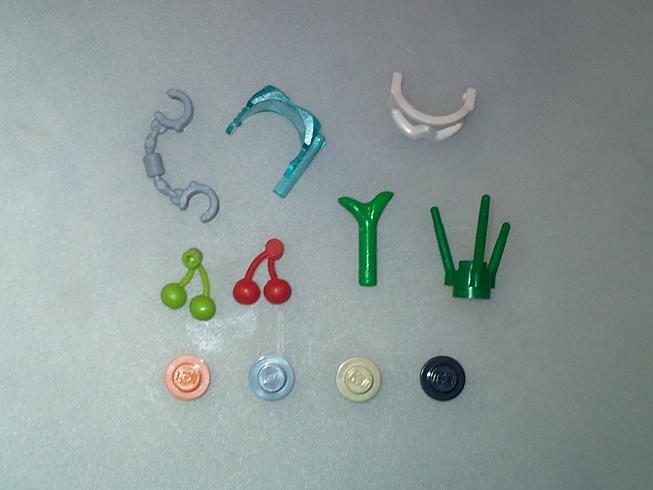 The sixth picture shows the left overs. 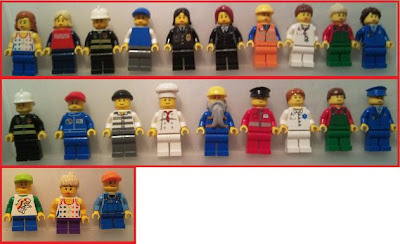 Finally here is a picture of some other minifigures you can make with the pieces. I didn't take any pictures of the completed set because the images on the back of the box are so good - I couldn't top that. This is definately a must have set for any City fan. 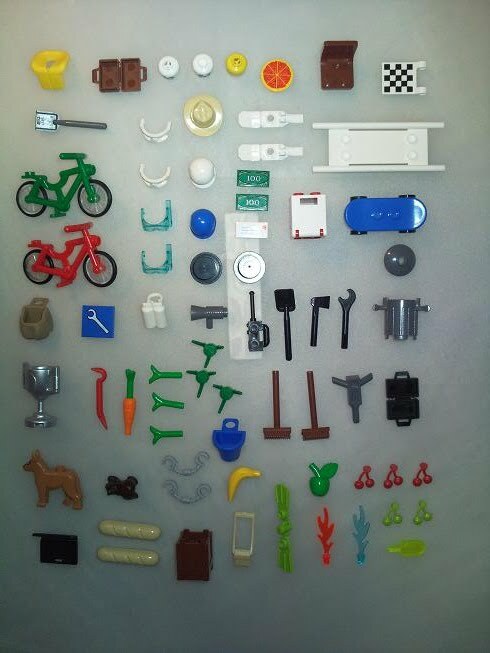 The best bit about the set is getting the new pieces - crow bar, burglar's sack, printed dog, new colour cat - without having to buy lots of different sets. The laptop was a big bonus too as I didn't have one of those. 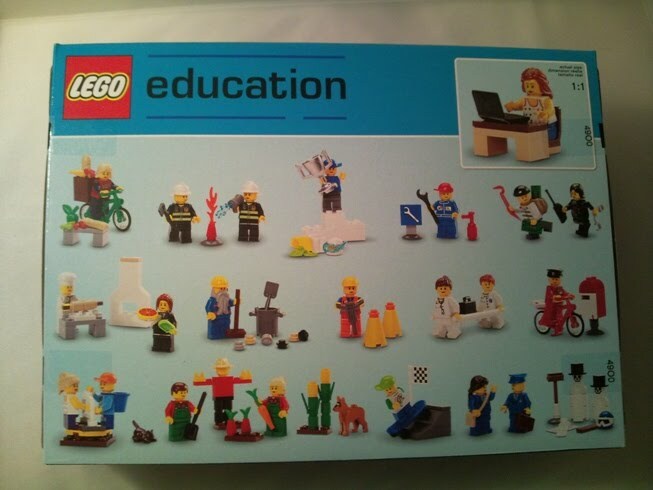 It is good to see a balance of male and female characters and to see them represented doing non-stereotypical things (especially in an education set). 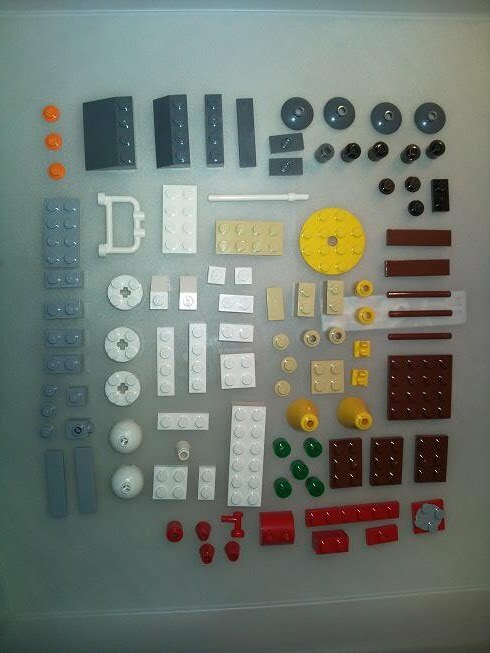 I would give this set 9/10. The only thing I would suggest to improve it is having a greater variety in facial expressions. 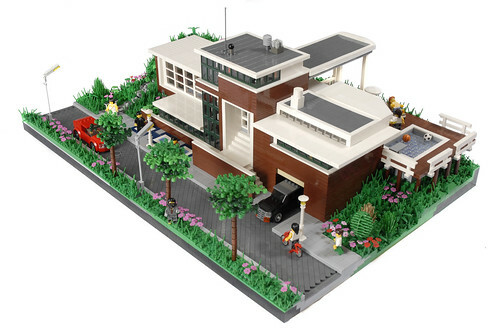 And yet another incredible house by Flickr user Nieks G. for the 2010 Brick Architect Contest. I'm astounded by some of the entries we've seen for this contest, so keep it up everyone! 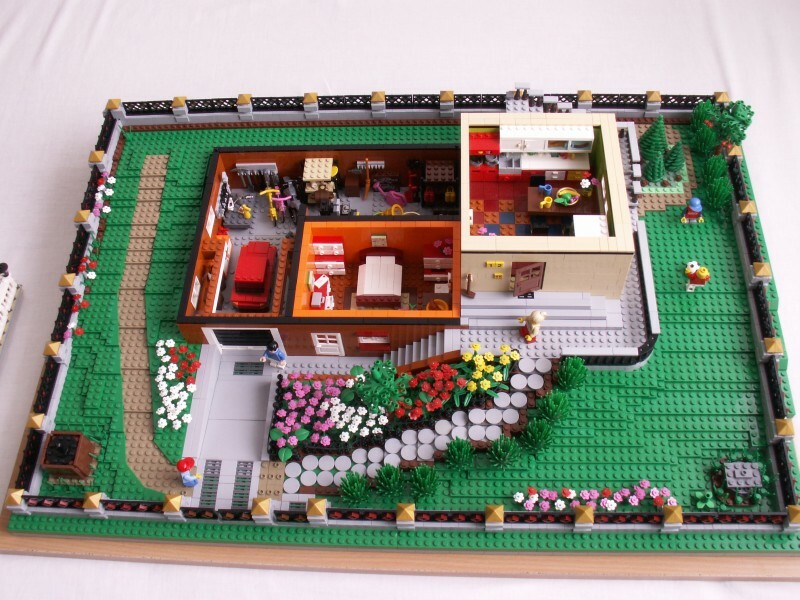 Courtesy Huis Ter Dijk by Nieks G.
LEGO obviously has had much success with the Cafe Corner line. 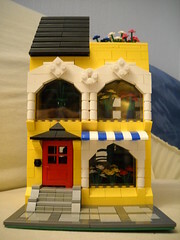 Although LEGO is considered a "toy", the recent Cafe Corner line has appealed to many AFOLs, mainly due to the new building techniques, massive amount of pieces, and realistic architectural designs. So, what's next? 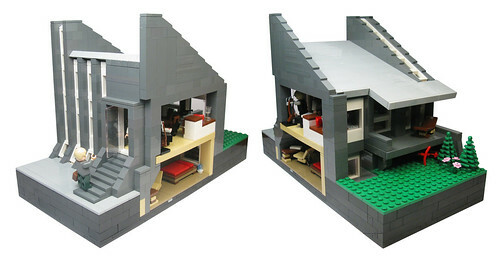 Now that the line has proven its success, LEGO should consider branching off into themes and sub-themes based on particular architectural styles. 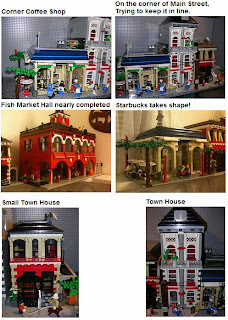 We have already slightly seen this with the American turn-of-the-century styles of the Fire Brigade and Grand Emporium sets, compared to the more lavishly decorated European styles of Cafe Corner, Market Street, and Green Grocer. Nevertheless, it could be expanded even more. Regardless of the chosen architectural style, the standard must be kept as with the original modular buildings; and that is the pin hole connections, the sidewalk, and the modularity of rearranging the floors and roofs. How should they be introduced? 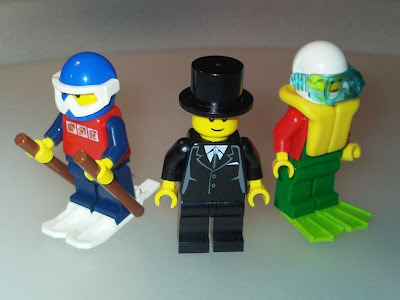 Every six months (or however long it may take), LEGO would release a certain number of sets based on different regions of the world all related in some way or another. 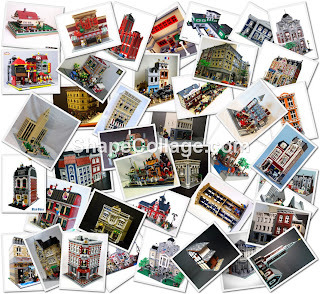 For example, let's say in the first half of 2013, they release a series of small houses; one Asian styled, another European styled, another Mediterranean, and so forth. 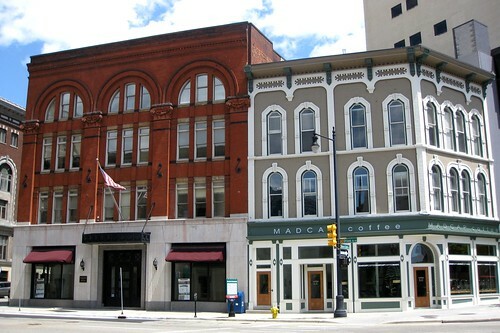 The second half could be a release of downtown or town square buildings, each from a particular region. 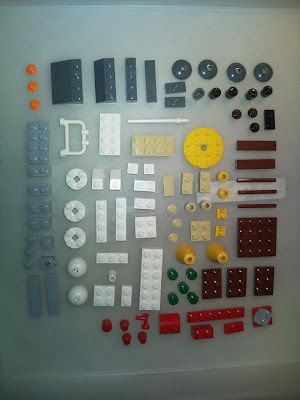 The sets however, will have to be much smaller than their original counterparts if this were to work. 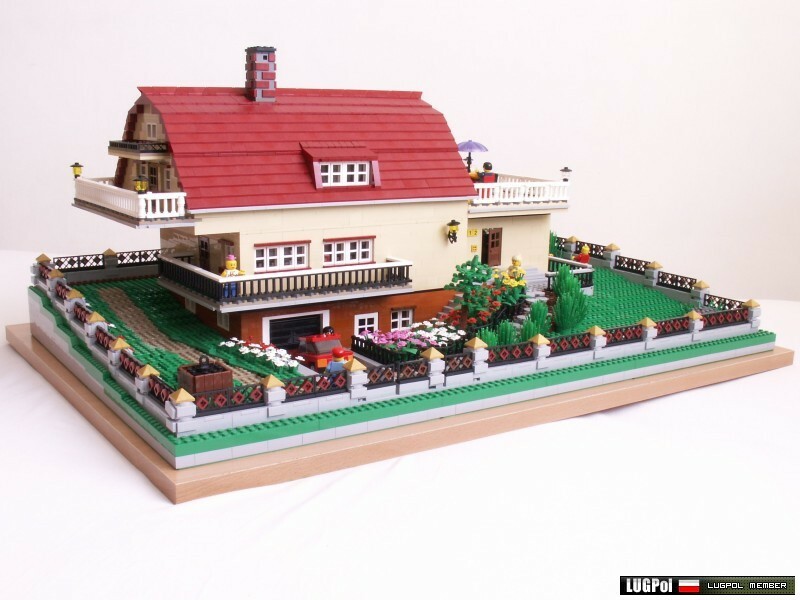 The line of sub-themes could be placed under a names such "Modular Farming - European - Barn" or Modular Housing - American- Two Story Home" to distinguish from one another and create a catalog of sets that could easily be viewed and purchased based on need or want. I would love to hear everyone's thought on the matter. I've been thinking about this idea for awhile now, so I finally decided to post something on it and see what everyone thinks, so please, post a comment, question, or another suggestion about the idea. Courtesy Bucyrus, Ohio by OZinOH. 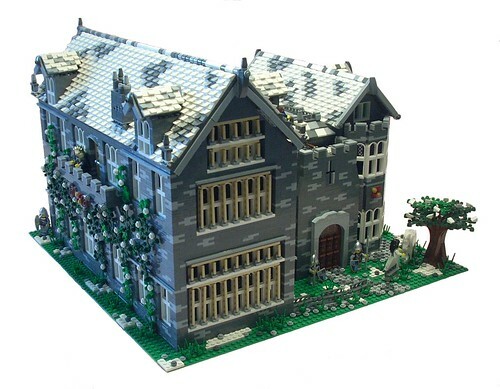 I saw this today on brickshelf in freeedrik's gallery. Made me feel Christmassy. I hope you all have a good one whatever you're doing. Well, I had a feeling this would happen. I post the collage picture, and BOOM! 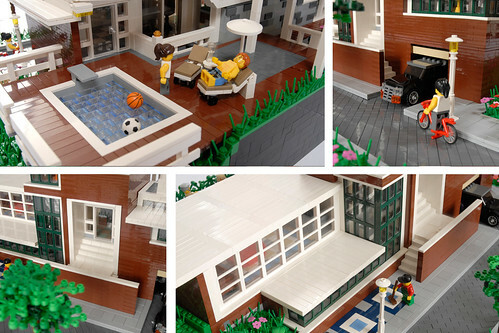 I stumble upon another one of Brian Lyles awesome creations, a modern strip mall. 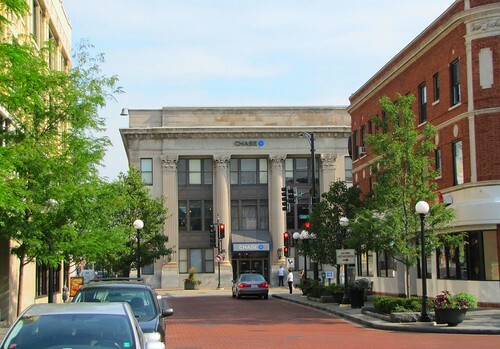 It's an amazing little series of buildings with rarely used colors such as orange, sky blue, and lime green. Each even have their own interiors. Nevertheless, I think what I like most about this is the tan-brick pillars for each store, very nice touch, and keep it up Brian! Courtesy Modern Strip Mall by Brian Lyles. 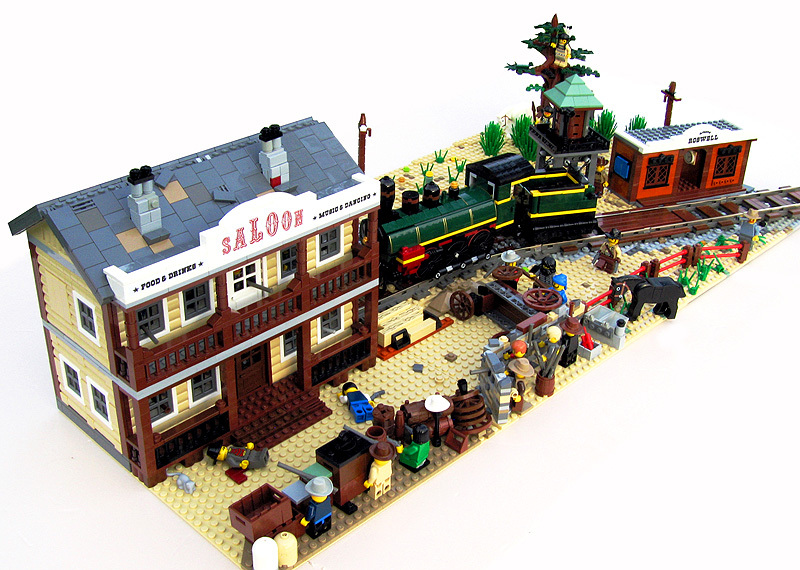 An incredible build, and quite unorthodox compared to those we see from across Flickr and other sites. This townhouse, based off a building in a Danish town, features a great cross-sectional view of the interior— with furniture and all. Check out the interior rooms for more great building techniques! Courtesy Rødovre Townhouse by John. 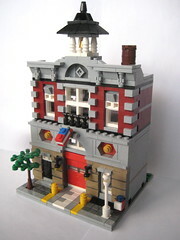 from the CC House Flower Shop set in Xenyo_BrickMaster (Christian Veigl)'s flickr photostream. from the Little Fire Brigade set in Puddleglum-'s flickr photostream. 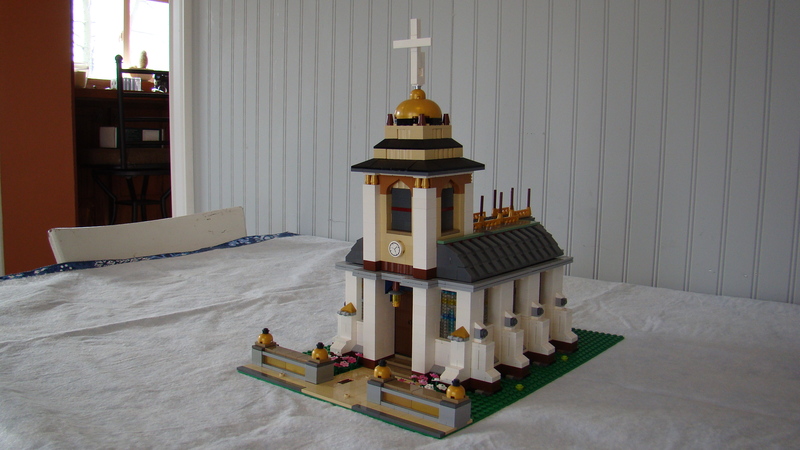 This church was designed by ktanger. I like the addition of the Series 2 Minifigures. I wonder what the service is about? LUGPol members always crank out something terrific. I had a difficult time figuring out what the main picture for this model should be. Every photo is expertly taken and each offers its own unique view with an insurmountable amount of detail hiding behind every corner. This farm house (mansion?) is just spectacular. The red gambrel roof and how the entire structure is sort of "sunken" into the ground points to the fact that this could have been a barn at one point (at least that's how I see it), but the additions such as the porch and garage make for an incredible design. And this is just the outside....so take a look at all the interior shots too! Courtesy Domek Letniskowy 96 x 64 by maciejer. Courtesy Ottawa Avenue & Monroe Center by Eridony. There's something about factories and industrial buildings that I just find intriguing. I guess it is just all the different components that go into making one work or just the shear power that seems to resonate from them. Perhaps it is the culmination of raw materials, logistics, and the facility itself that go into making the products that I find so interesting. Regardless, I don't see many factory models too often, so this caught my eye immediately. What I like best about this particular model is the restriction to a simple three-color scheme meshed with varying heights in the structure itself. It turned out remarkably well. Great job Luky1987! Courtesy Industrial Building by Luky1987.